Dr Georgia Ward-Fear is a conservation scientist, reptile biologist, and explorer. From a young age, watching David Attenborough investigate the mysteries of nature had her hooked on investigating them herself. Georgia shifts ecological paradigms. Through interdisciplinary research, she seeks innovative conservation solutions by asking counterintuitive questions like: Can pest species be ecologically useful? Does traditional hunting increase prey resilience under environmental change? Instead of controlling harmful invasive species, can we ‘train’ the native animals they impact? 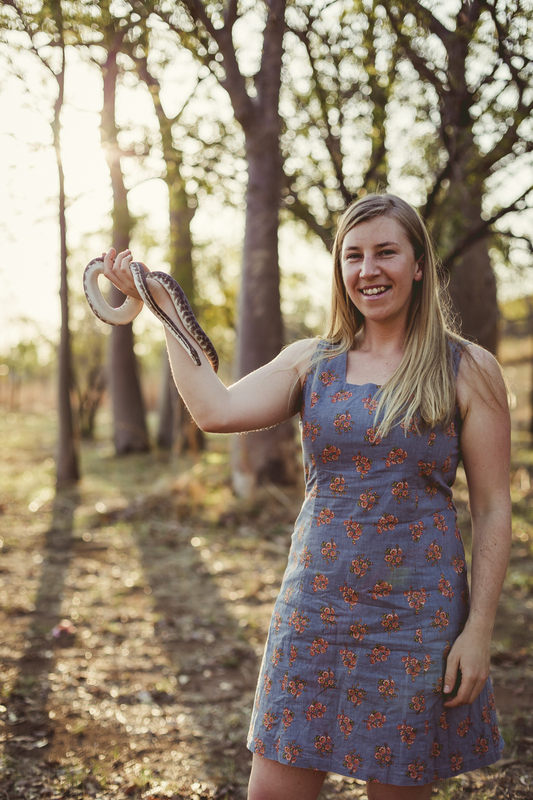 For her PhD (2016), Georgia trialled a novel technique to mitigate the ecological impacts of cane toads in the wild (inducing Taste Aversion in reptilian predators); it was successful, attracting international media attention and leading to the award of a linkage grant by the ARC. Georgia developed ‘The Cane Toad Coalition’ (2017), a strategic partnership between prominent conservation organisations, Indigenous NGOs and cultural groups, State governments and regional stakeholders; never before had these organisations allied in this way. Georgia leads the coalition, with the ambitious task of delivering the largest and most innovative strategy for cane toad mitigation to date; it’s working. Georgia has won the University medal (2009), been a Val street Scholar (2013-16) and is part of the Homeward Bound initiative (2019) a global network of Women in STEM, collaborating to influence global environmental policy. She collaborates with the indigenous ranger network across northern Australia and produces educational material for the public. An adventurous spirit, Georgia has trekked through many continents and travelled thousands of kilometres in a sea kayak to live with the people of the pacific islands. Such experiences fuel her passion for conservation research here and abroad.